Great shaving cream, lathers up really easily. Having always used spray foam, the difference is like night and day. Prompt delivery will certainly buy again. Like all Proraso gear, this is great and at a good price. I’ve tried quite a few shaving creams/soaps and for me this is the best. Easy to lather and kind on the skin. Amazing service as always from shave lounge! Lovely solid item beautifully made. Amazing cream, reduced my razor burn massively. For people with very sensitive this is the best cream out there. Quality product. It does need a bit more working to get the lather up and i would recommend working a hot wet brush directly from the tub onto the face rather than using a shaving bowl. A couple days practice and your sorted. Slick smooth shave as a result. In a way taking a bit more time to lather up means you soften the hairs properly and get the full benefit of the product rather than rushing out the door. May take a bit more time to shave but well worth it, After all its pure pleasure having a proper DE razor shave and why not prolong it for a couple minutes more. This tub will last months as its very rich and full of great ingredients for your skin. So well priced for such quality. Love it. I’ve used this for years. Sensitive skin means non-aerosol shaving creams are few and far between, so it’s welcome to find this on line (lasts for ages too). Nice fragrance but maybe not as slick as I thought it would be but still gives a good shave. When you peruse all the wonderful products on offer on Shave Lounge and other sites, it’s very easy to overlook something that costs very little, but offers so very much. As a complete newbie to DE Shaving, I looked longingly at the £20/£30 creams, but as a married man, I had to justify my expenditure to the finance minister….no joke, my wife is an ex-finance minister formally in charge of billions of dollars! I always feel guilty buying myself stuff, so I thought if it all goes pear shaped, I’d only spent £5.50 on shave cream. However, this stuff is amazing. 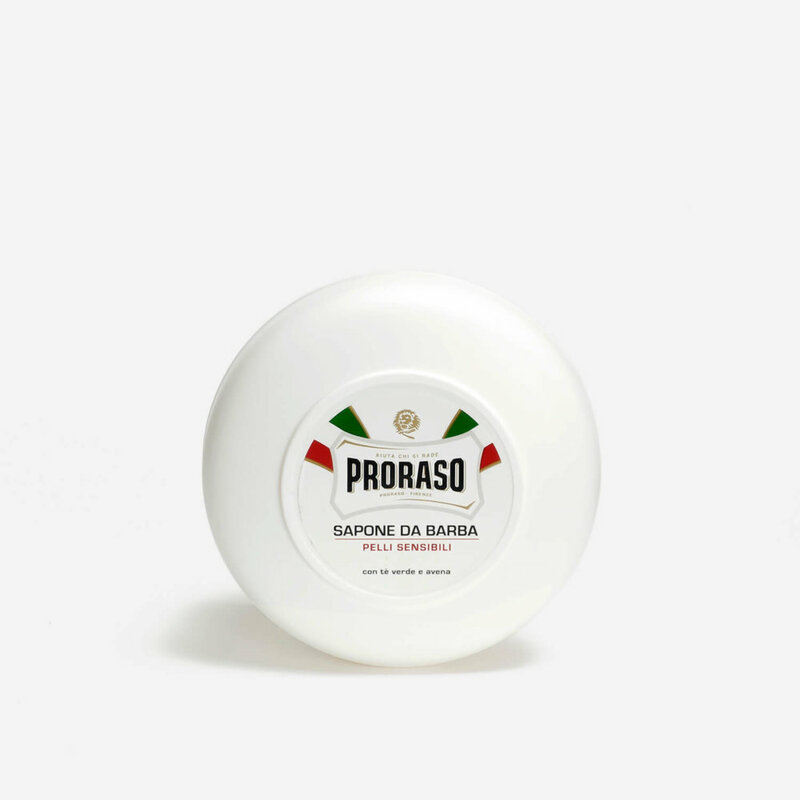 I have some Acqua di Parma shave cream which cost £40+ and the Proraso is easily as good if not better. The Proraso lathers up well and leaves a refreshing menthol tingle on the skin. I’ve now shaved 3 times since getting my kit from Shave Lounge and I’ve not had one drop of blood spilt. I’m convinced it’s the quality of the Proraso soap. When this tub runs out, I will definitely be buying more of this stuff. This time is my fitst try, I’m so satisfied. Really good product, Great lather and sensitive. This product is quality and really has the edge over other cheaper brands. It leaves the skin feeling lovely and soft as well as really clean and refreshed. This is good stuff. Not like that awful gloop that comes in a can and dries out your face. Nice and cooling too. Great product, nice foam created with just a small amount of cream. A nice, close and comfortable shave.